SoftChalk is the leading provider of content authoring software for educators in K12 school districts, colleges and universities. For the past 15 years, educators in more than 1500 educational institutions have used SoftChalk to develop interactive and engaging online lessons for their students. SoftChalk users are creating truly awesome learning experiences for their students. Meet some of these extraordinary educators. Wondering what kind of content you can create with SoftChalk? 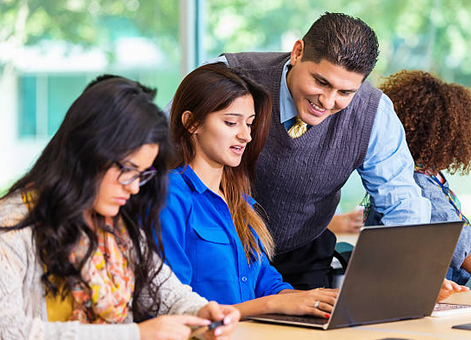 Here are a few examples of interactive lessons created by educators, like you. SoftChalk hosts an Online Learning webinar series that highlights educators who are using SoftChalk in innovative ways. Register for an upcoming webinar or view an archived webinar to see how they do it. Meet some superstar educators—these case studies feature SoftChalk users who have done extraordinary work in developing their eLearning initiatives. Annually, the SoftChalk Lesson Challenge is an opportunity to recognize educators who are creating awesome learning experiences for their students. Check out our latest Challenge winners and view winning lessons from previous challenges. SoftChalk users love to share! Hear what they really think about SoftChalk!